Consisting of a single or double-breasted jacket with covered buttons and satin-covered lapels, trousers with a satin or grosgrain stripe down the sides and tabs or suspenders instead of belt loops. The most popular colors are black or midnight blue (both with black satin detailing). Wear with a cuffed white dress shirt (with either a covered placket or evening studs and a turndown collar) and a bow tie. Footwear needs to be patent leather or shined lace-up shoes, opera pumps, or smoking slippers. The pinnacle of menswear for decades. 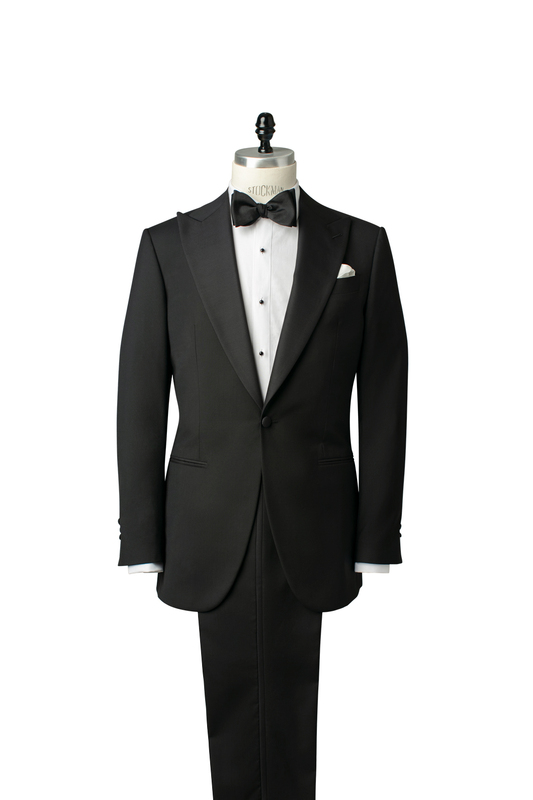 Styled with contrasting black grosgrain satin on the lapel, pocket besoms, and buttons. 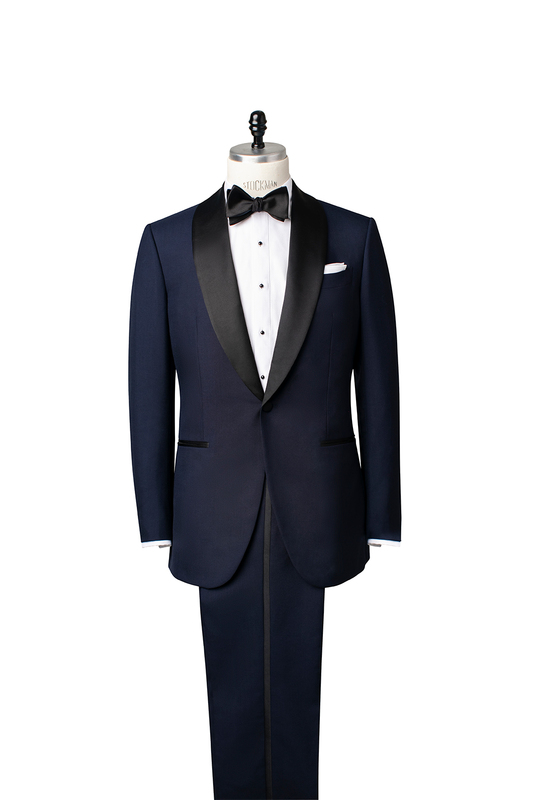 Midnight blue has become the modern gentleman’s choice for a tuxedo. 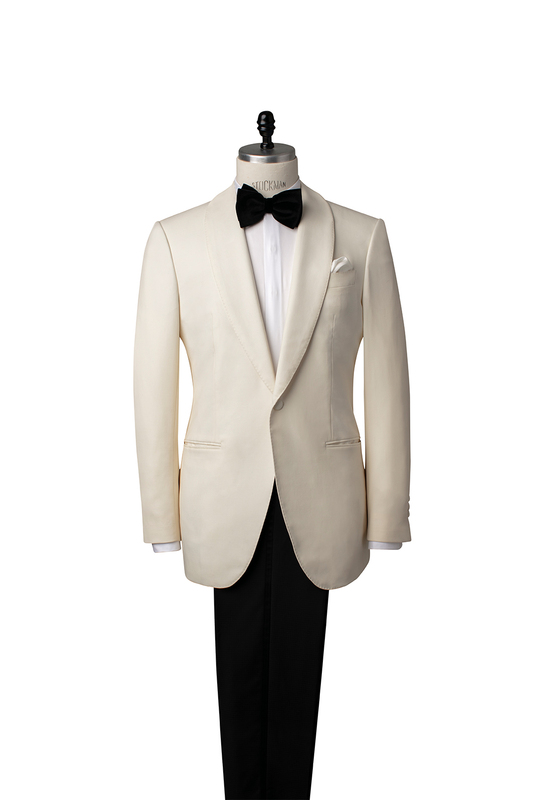 Our take is styled with contrasting black satin on the lapel, pocket besoms, and buttons. stitching, and matching fabric buttons. perhaps the most flattering clothing known to man.